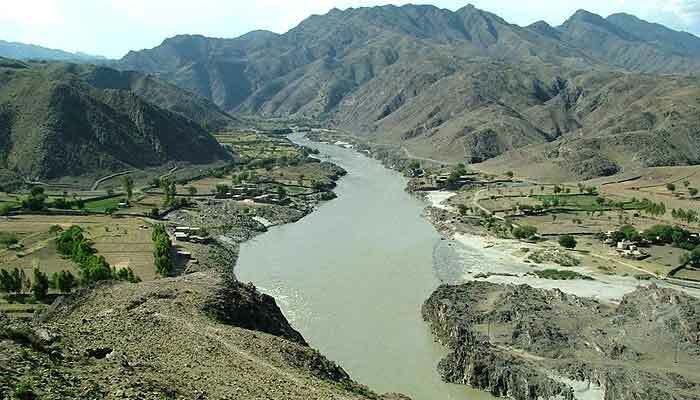 ISLAMABAD: The ‘compromised’ consultant, comprising Nespak, SMEC International and ACE, has evaluated the single stage two envelopes bid and ‘paved the way’ for winning the bid of Rs309 billion Mohmand Dam project by joint venture of Descon and China Gezhouba knowing the fact that Nespak is the government company attached with Power Division and the SMEC International and ACE consultant that has been declared blacklisted by World Bank. Descon is owned by Razzak Dawood, Adviser to PM on Commerce, Textile and Industries. More importantly, the same companies of JV for consultant for detailed engineering design of Mohmand Dam headed by SMEC International have been held responsible for the increase of almost Rs160 million in the cost of detailed engineering design as it had included in the detailed engineering design (DED) the flawed calculations of Probable Maximum Flood (PMF) in the design. According to the World Bank documents available with The News, SMEC International was blacklisted for 12 months from September 27, 2017 to September 26, 2018. The SMEC was factually debarred from working in India for 6 months and 30 months in Bangladesh and ACE consultant has also been blacklisted for 30 months in Bangladesh. So the word independent consultant that is being used by the authorities concerned is a joke as how an entity like Nespak which is owned by the government (Power Division) can evaluate the bid independently. As for as the SMEC and ACE are concerned, these companies have been declared blacklisted by World Bank, and it is quite shocking as to how they can be given the role to evaluate the bids. The SMEC International as a lead firm of the Joint Venture completed the detailed engineering design of the Mohmand dam on October 31, 2017. It was given the Detailed Engineering Design Project on March 13, 2014 at the cost of Rs937.86 million and in the tender the scope of work for evaluation of the contractors bid was not included. Interestingly, according to the minutes of CDWP (Central Development Working Party) meeting held on February 7, 2017, also available with The News, it was revealed the SMEC International could not complete the detailed engineering design of the project within stipulated time and cost as the Wapda came up in that meeting with third revised PC-1 at the cost of Rs1097.67 million. It was also unfolded in the meeting that SMEC International earlier came up with flawed detailed engineering design as it had included the faulty calculations of Probable Maximum Flood (PMF). Instead of penalising the consultants headed by SMEC International for flawed calculations, Wapda let the SMEC to continue as consultant for detail engineering design which completed on October 31, 2017. But same companies the Nespak, SMEC International, ACE involved in detailed engineering design of the project have not been given the contract of being consultant to evaluate the bids after due process but Wapda authorities have extended their contract and scope of work on its own making the whole bids evaluation process illegal and questionable, unfolds the investigation of The News based on official documents and interviews of the top officials of Wapda. In the DED contract it was not included that the SMEC will evaluate the contractors’ bid, but under latest scenario, Wapda has extended the contract with SMEC, ACE and Nespak on its own which is illegal. However, the officials said that Wapda in order to manipulate the bidding process illegally extended the contract to M/S SMEC International JV to do the evaluation of the main dam contractor’s bids without any bidding process violating the PPRA rules. They also claimed that when contract with M/S SMEC International JV was extended they were blacklisted by the World Bank at that time. Engineer Muhammad Jamil, General Manager (Business Development) in the SMEC International told The News that SMEC International was blacklisted for 12 months from September 27, 2017 to September 26, 2018. This means that SMEC could not take part in any project of World Bank during the said period. However, SMEC continued to be part of ADB funded projects of NHA and other projects during the said period as debar period was enforced on the WB funded projects. However, SMEC is now eligible for WB related projects too as period of 12 months is over. So SMEC international is not compromised consultant. He, however, admitted the fact that in the original tender for detailed engineering design, it was not included that the same consultants for DED headed by SMEC International will be given the task to do evaluation of contractors’ bids. To a question Engineer Jamil said that in June-July 2018, the extension in the contract was given by Wapda to SMEC International. This can easily be construed that on June 16 2018, contractors had submitted the bids for construction of Mohmand Dam. The debar time by World Bank was till September 26, 2018. The extension in the contract was given in June-July 2018. This means that the contract was extended by Wapda to SMEC International when the period of debar (being blacklisted) was very much there. Engineer Jamil, while representing SMEC International, also unfolded that his company was given two times extension in the contract and when the contract was last extended in June-July 2018 period, it was included that SMEC International, ACE and Nespak would evaluate the contractors bids. He said earlier extensions in the contract were given for up-gradation of the DED and contract for design of the project will now end on April 2019 till the update of revised PC-I of the project. However, Ali Bajwa, representative of Intertechne Consultores, Brazil (lead firm) said that in the whole world, dams are constructed with the help of international financing from IFIs (international financial Institutions) and donor agencies. IFIs cannot extend any funding if the company facing debar by WB is part of the dam project. To a question he said that SMEC got ADB funded projects before the debar time enforcement out of which many are still underway. When it comes to dam construction then extension in the contract in June-July period to SMEC is illegal, he argued. Bajwa explained saying that in the extension of the contract, inclusion of new scope of work under which SMEC, ACE and Nespak would evaluate the contractors’ bids is totally illegal. He said for evaluation of contractors bids, the laid down procedure as per PEC and PPRA rules should have been adhered to. Mazhar ul Islam, the eminent expert in contract management hailing from PEC (Pakistan Engineering Council) says that since the bids evaluation was not included in the tender for detailed engineering design of Mohammad Dam, so the companies which were part of the consultants who completed DED cannot be given the extension in the contract which ended on October 31, 2017 to do evaluation of contractors bidders. Mazhar said had the scope to evaluate the bids of contractors been included in the tender for detailed engineering design by the consultants headed by SMEC international, then the extension in the contract for contractors’ bids evaluation would have been valid. Tahir Basharat Cheema, former Managing Director Pepco came up with the same view point, saying that in the detailed engineering design project it was not included that the consultants would also carry out the evaluation of bids of contractor for Mohmand Dam. So the extension in the contract of DED to evaluation of contractors’ bids is illegal. Wapda Chairman General (R) Mozzamil Hussain when contacted confirmed, saying that joint venture of Nespak, SMEC and ACE, being the independent consultants have evaluated the bids of contractors. He said that SMEC is the company that had completed the detailed engineering design of Mohmand Dam and ideally it should be the same companies that have participated in the detailed engineering design of the project must evaluate the bids of contractors. To a question as to when the laid down procedure (giving advertisement, getting EoIs, shortlisting and then selection of companies as consultant) was started and got completed for selecting the independent consultant for evaluation of the bids, he said that Wapda has extended the contract on its own to avoid the wastage of time arguing those who completed the detailed engineering design of the project can better evaluate the bids. The company that has completed the detailed engineering design can easily supervise the changes in the design till the completion of the project. Wapda chairman also said that in the winning Joint Venture China Gezhouba will be having 70 percent share whereas Descon 30 percent. However, in the losing JV, FWO had the share of 65 percent whereas Power Construction Company of China had 20 percent and Power china Chengtu 15 percent. The project has been awarded also based experience of construction of dam of Rs10 billion. He said that China Gezhouba had the experience of Rs90 billion cost of project whereas FWO had not. The official also disclosed that in the technical bid of FWO and China Power, it was written that it will also desire to ink supplementary agreement meaning by that they wanted to outsource some of construction work to any another party. FWO took part in Golan Gol project but it’s responsibility was to provide the security of the project, make inroads of the colony and build the building of the offices not more than that. FWO has factually no experience of making dam but its share was 65 percent in its Joint Venture. Transparency International has mentioned in its letter to Wapda seeking the answer of a question as to how China Gezhouba which has been declared blacklisted by WB in the Bhikki project for one and half years. Hussain said that if the selected company China Gezhouba is not given the project, it may move the court of law as the same company has been selected by World Bank in Dasu project. However, top notches of Wapda claim that in the past never such a large scale of project has been awarded to any party based on single stage two envelopes mode. Wapda has awarded the projects based on competitive bids under which 2-3 companies were used to get shortlisted and their technical bids and financial bids were opened and then the evaluation process kicked off. They said that engineering estimates of the civil works of raising Mangla Dam project were worked out at Rs22 billion but two companies—CWE and Sino Hydro which were found technical responsive. CWE came up with the bid of Rs16 billion and Sino hydro turned up with Rs19 billion cost. CWE was awarded the contract and Rs5 billion was saved. But in the case of Mohmand Dam, Wapda has only one financial bid which is being evaluated and negotiated and there is no other financial bid which with competitive price is worked out. They said single stage two envelopes mode would not serve. It would have been better if the Wapda goes for re-bidding. They also raised the question that Wapda authority has not been completed for the last 2 years and at the moment there is no Member Water, Member Finance and Member Power. The junior officers are currently officiating like members. If the members of the authority are appointed, then the authority would never go for single stage two envelopes bid. They said that for T-4, Tarbela, Mangla dams and Ghazi Barotha Hydropower Project, there have been no single stage two envelopes bid. However they did mention about the project of Neelum-Jehlum, saying that it was the project for which three time bids process were initiated. For this particular project no company from Europe and US participated in the bid as it was located at very risky site and no one wanted to annoy India. So Pakistan had to extend this project to China Gezhouba and this company created many problems for Wapda. China Gezhouba was supposed to fetch 5 Jumbo drilling machines for drill and blast, but it failed to bring them on time. In first two years it was bound to bring 3 machines, but it import one and similar in next 4 year it brought just 3 machines and because of this very fact the project got delayed and the then Wapda chairman Shakeel Durrani had to import tunnel boring machines from Germany which not only expedited the process of construction, but also saved Rs60 billion a year.